Incorporated in 2013, Training Ahead Australia (TAA) has quickly grown to become the training provider of choice for many rail owners and Tier I constructors. Specialising in training for the Rail sector, with the aim of improving safety standards throughout, which is achieved by combining industry experience with fresh and innovative training strategies. With offices in New South Wales, Victoria and Tasmania, our core strength relies upon not only the many years of experience gained from the ground up by our trainers but our constant evaluation of said training, through industry consultation and being part of NUGROUP who are at the forefront of Rail innovative practices. At TAA, our training delivery methods, coupled with (in most cases) bespoke course content ensures the participants are engaged throughout the course leading them to put into practice any theory component, leading to increased SAFER productivity for the client. Having access to NUGROUP group of companies ensures our innovative training style is supported by access to their vast array of resources and equipment throughout Australia. With the flexibility to upscale quickly to suit any project scope and provide custom solutions – from highly integrated training portals to our unique ‘mobile rail training’ facility – TAA would welcome the opportunity to discuss your training needs. 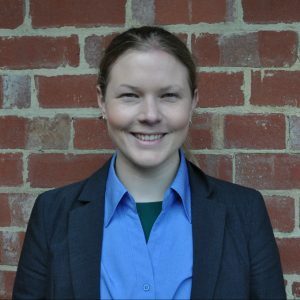 Dannielle is the founding director of Training Ahead Australia, and provides the training expertise that ensures every course delivers on the TAA promise of being high quality and memorable. Coming from a resources/heavy industry background, Dannielle has experienced firsthand the dangers of untrained workers and unsafe workplaces. She started the business with the goal of developing training that made a difference, for the better. With that goal now realised, Dannielle’s next step is to position TAA as the nation’s number one training provider for the construction and rail industries – to widen their field and offer TAA’s game-changing training throughout Australia. 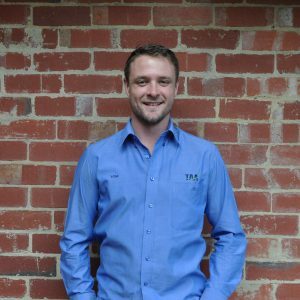 With a penchant for innovation and entrepreneurialism, Tom joined Dannielle as a director of Training Ahead Australia in 2015. Having worked in the construction industry for the majority of his career, he broke away from being an employee to found his own start-up in 2012 – matching construction professionals with career opportunities. To TAA, Tom brings unique insights into how to engage with people and develop a business around the needs of clients. Sharing Dannielle’s vision of safer workplaces and more streamlined businesses, he is committed to sharing the TAA training experience across the nation.